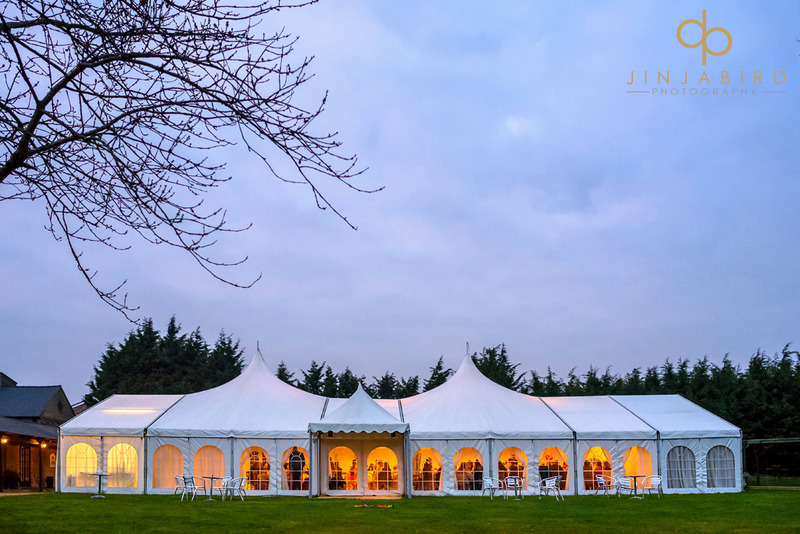 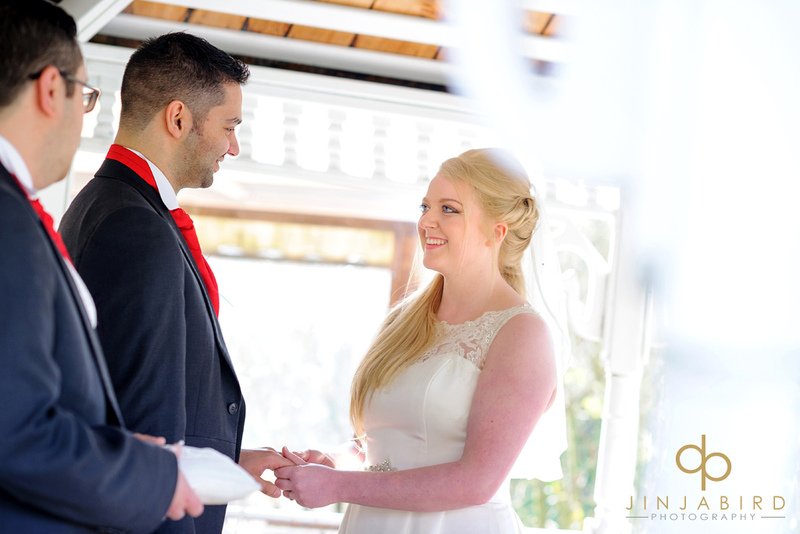 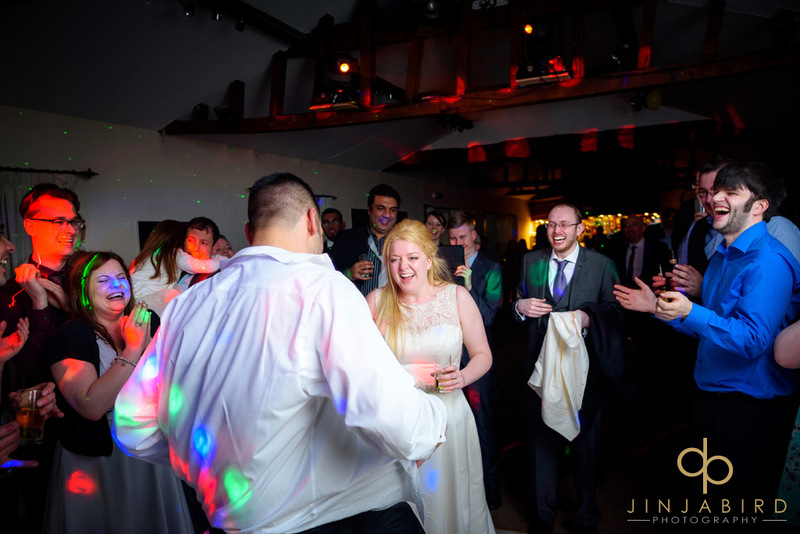 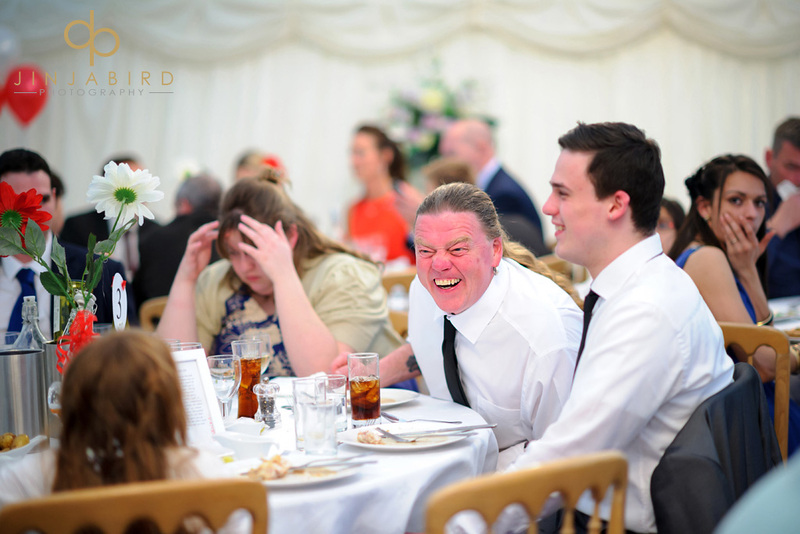 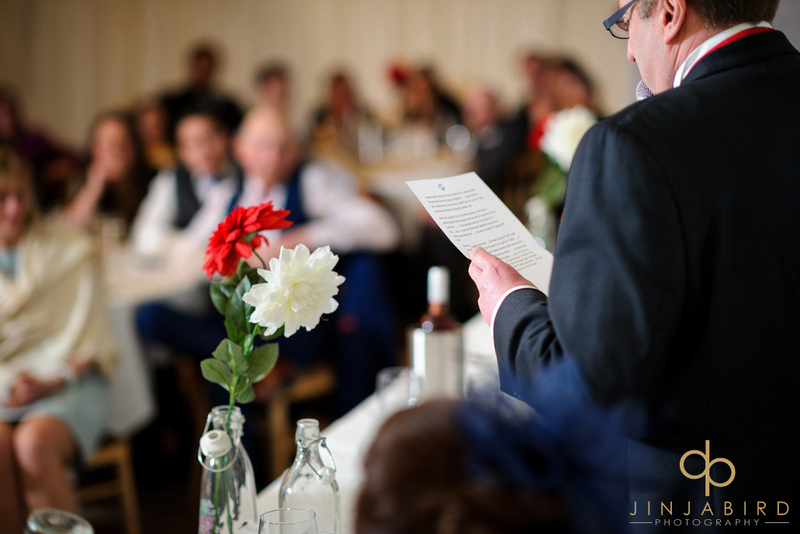 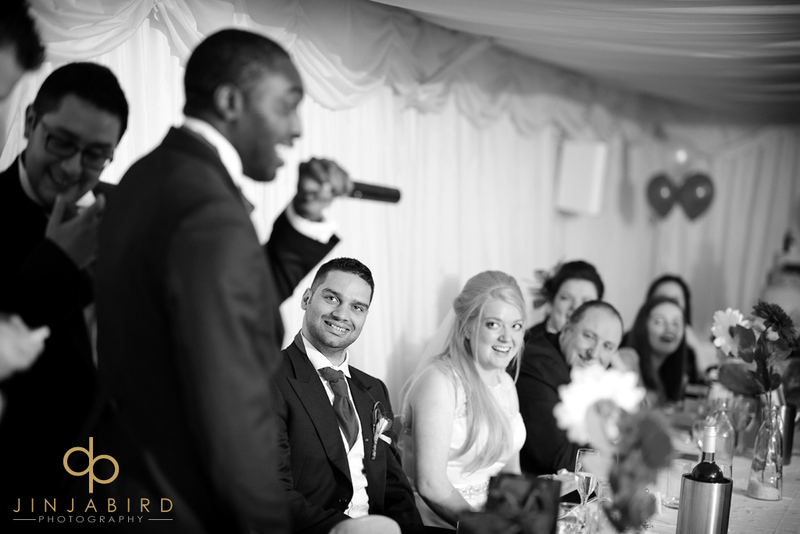 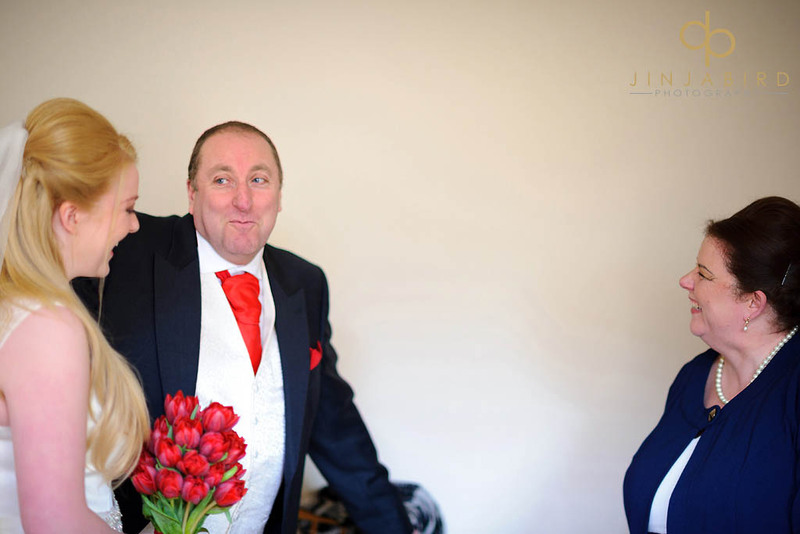 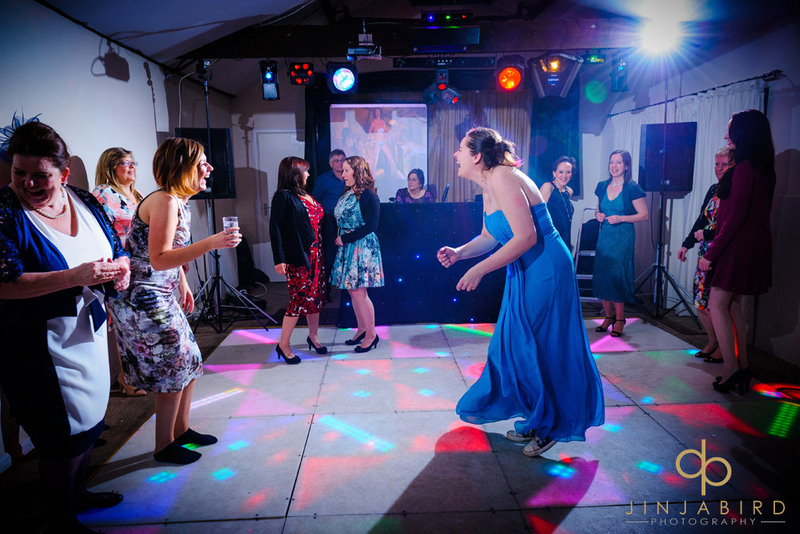 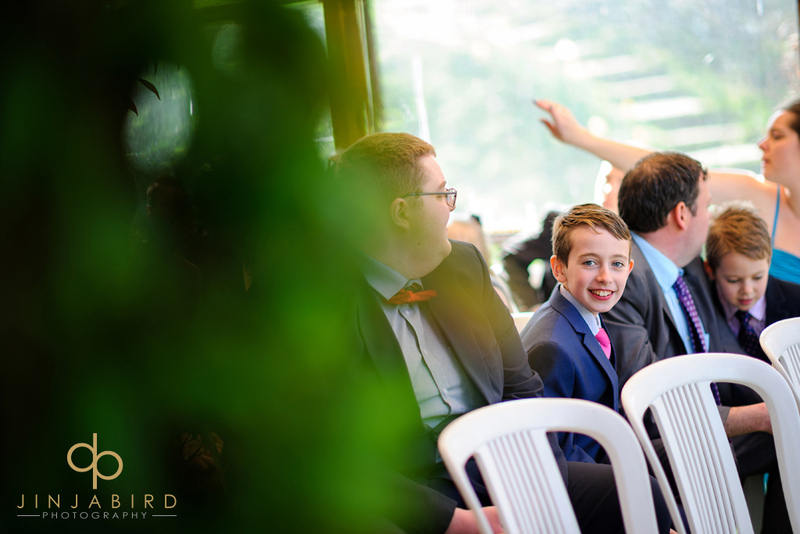 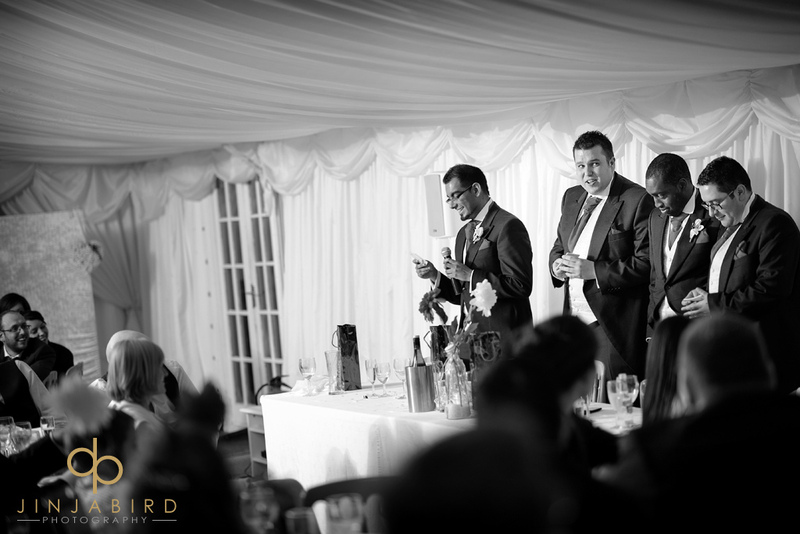 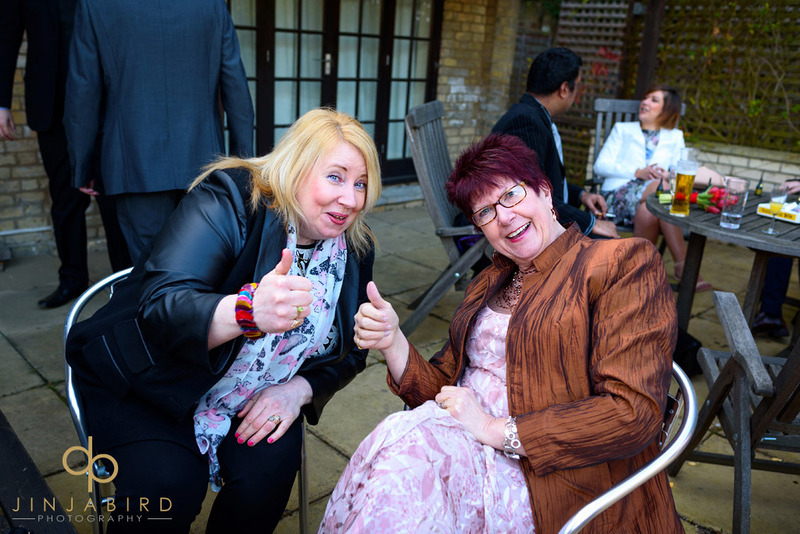 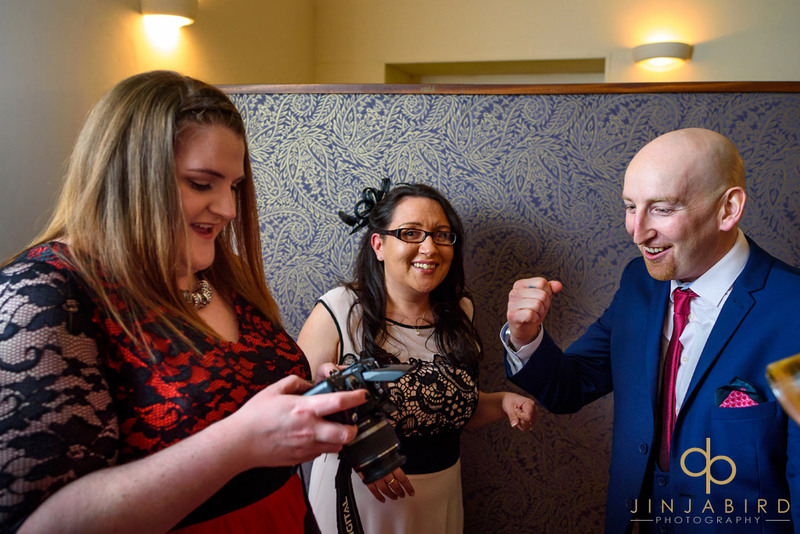 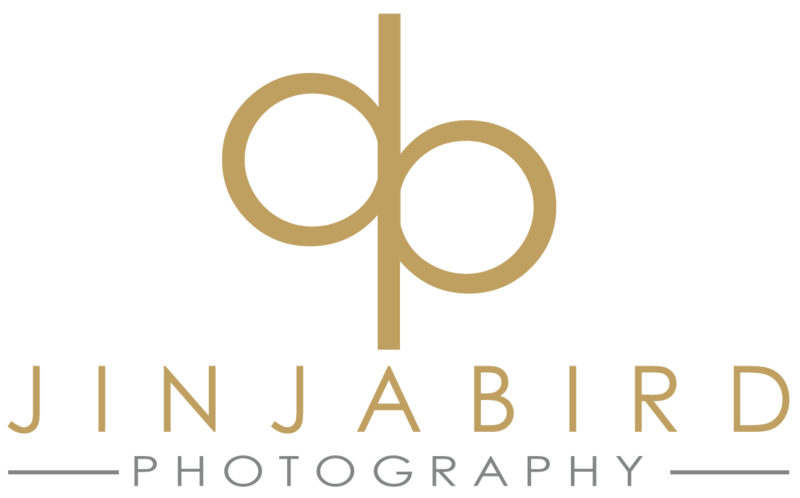 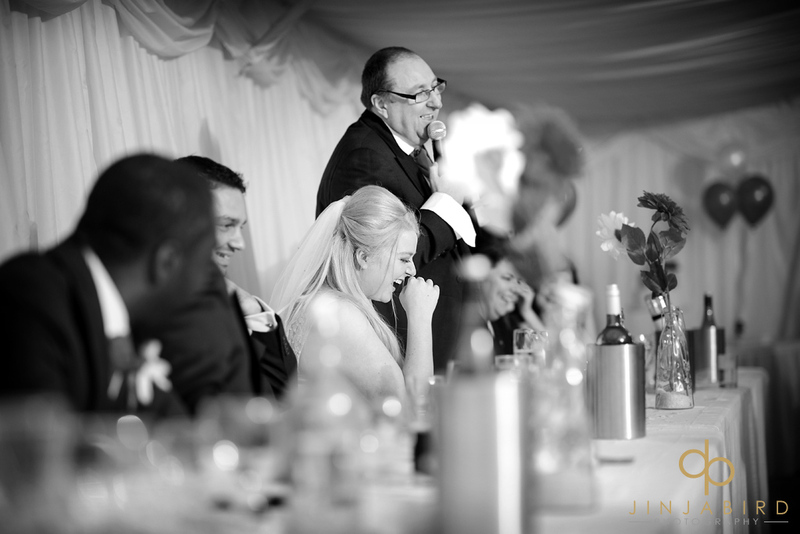 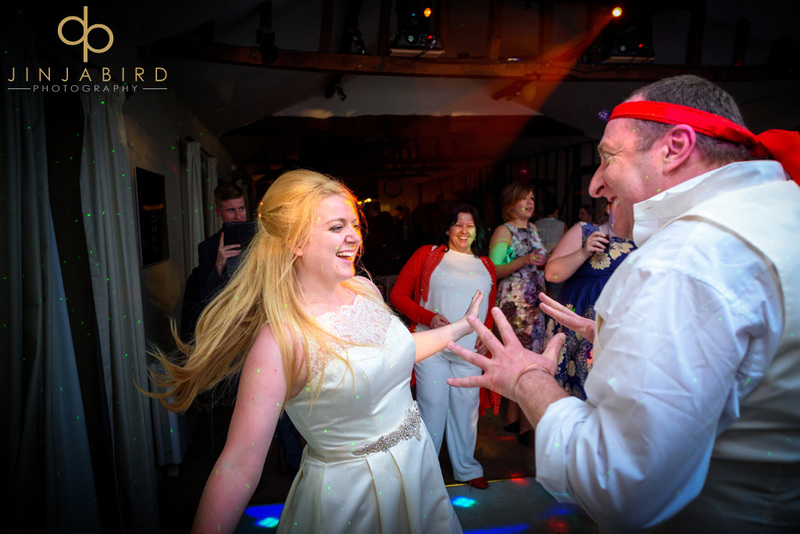 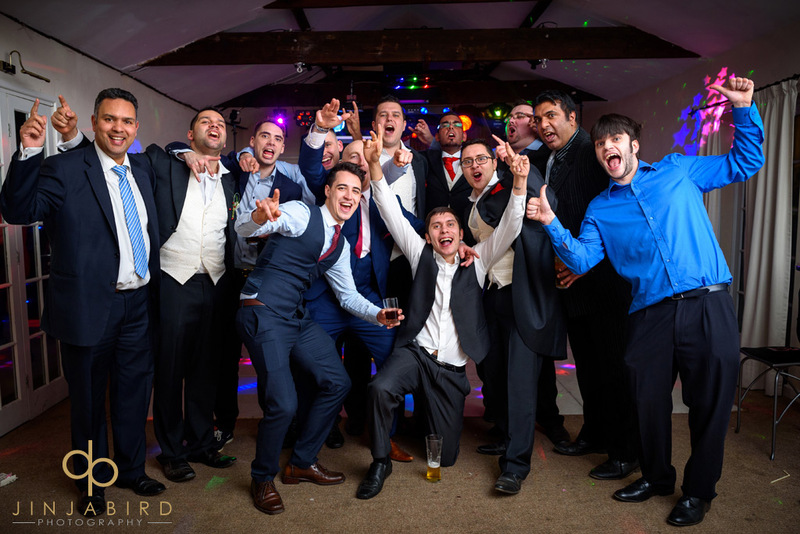 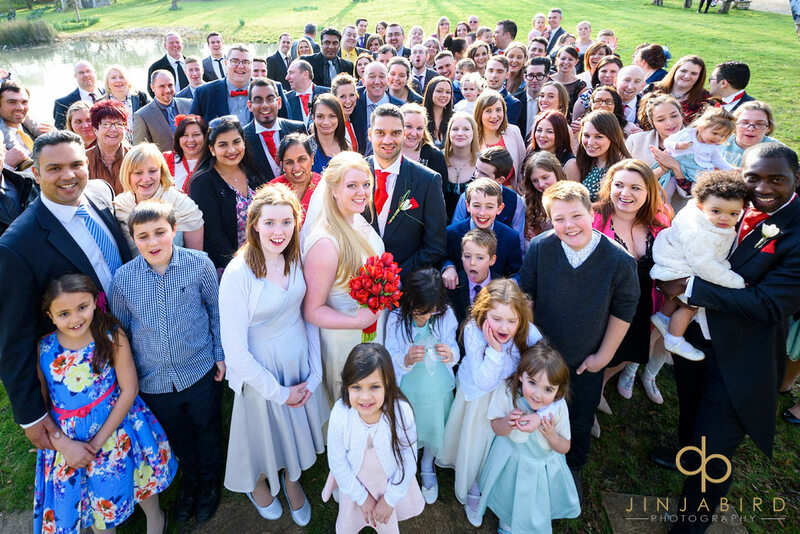 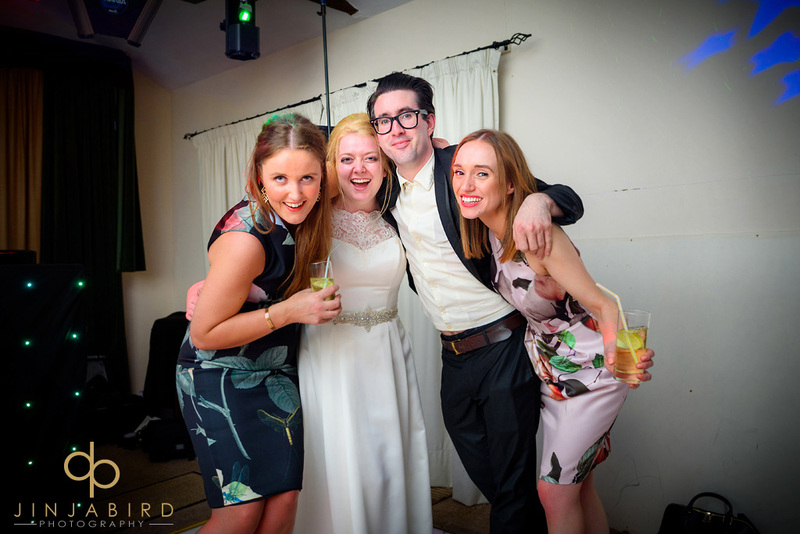 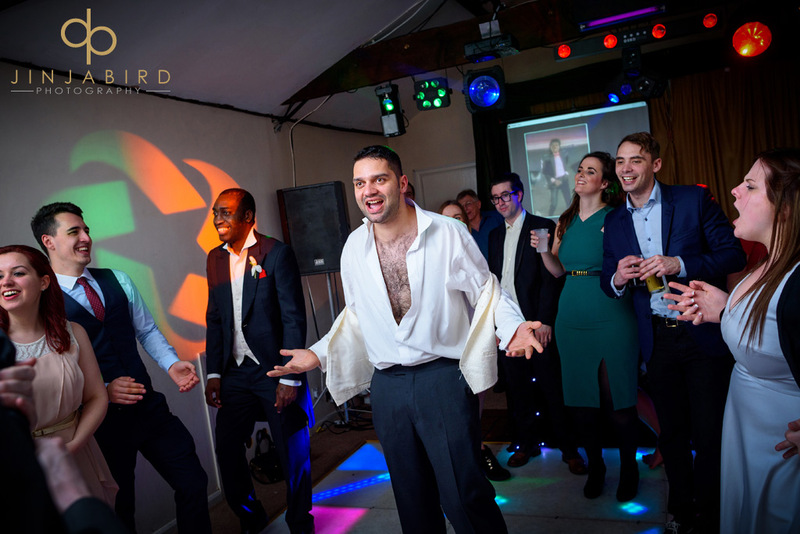 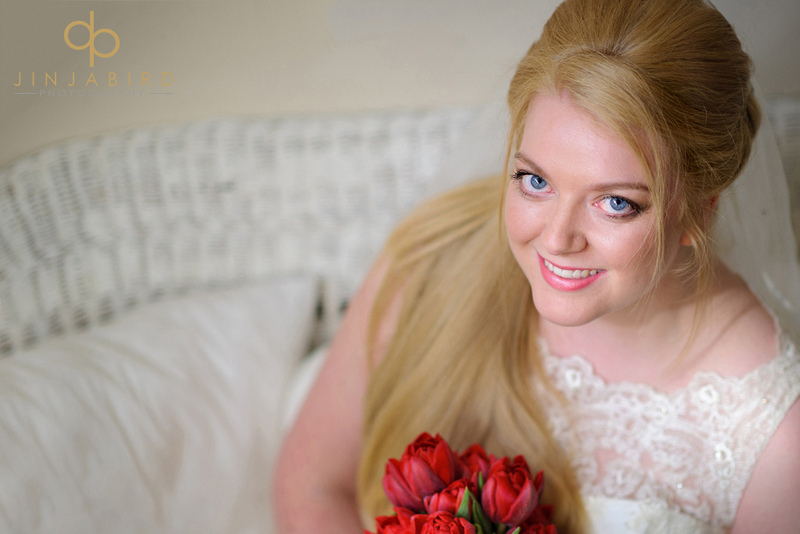 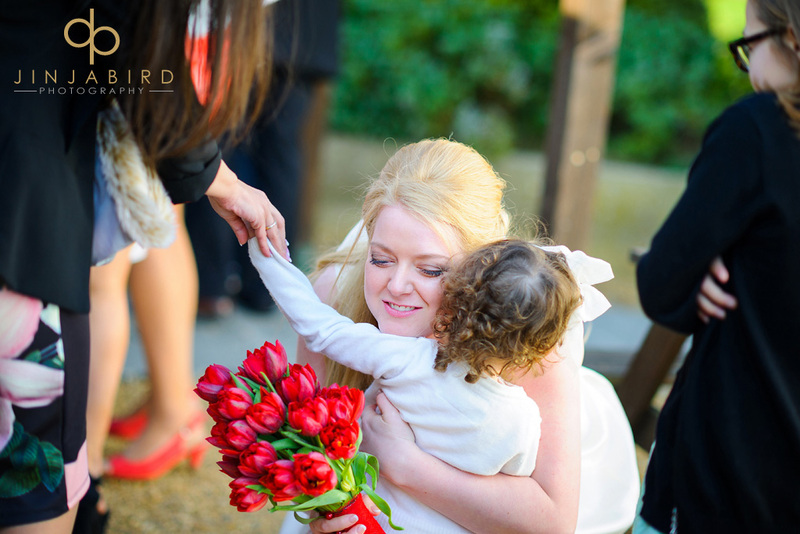 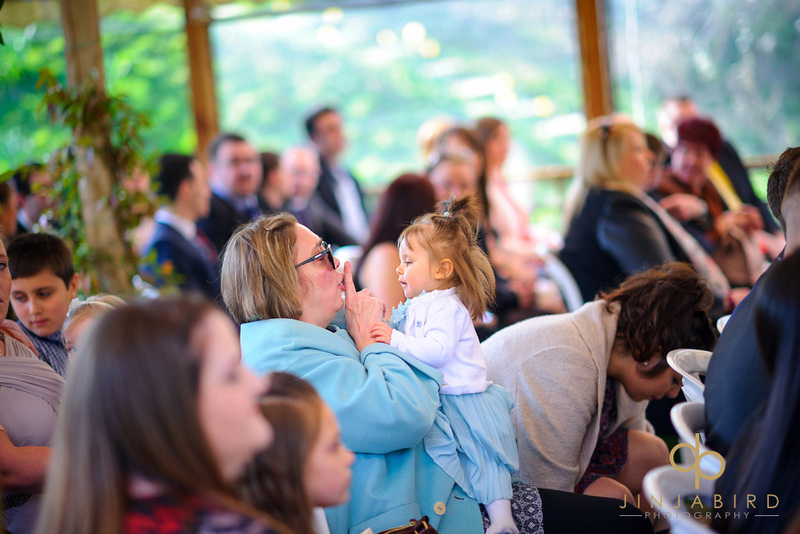 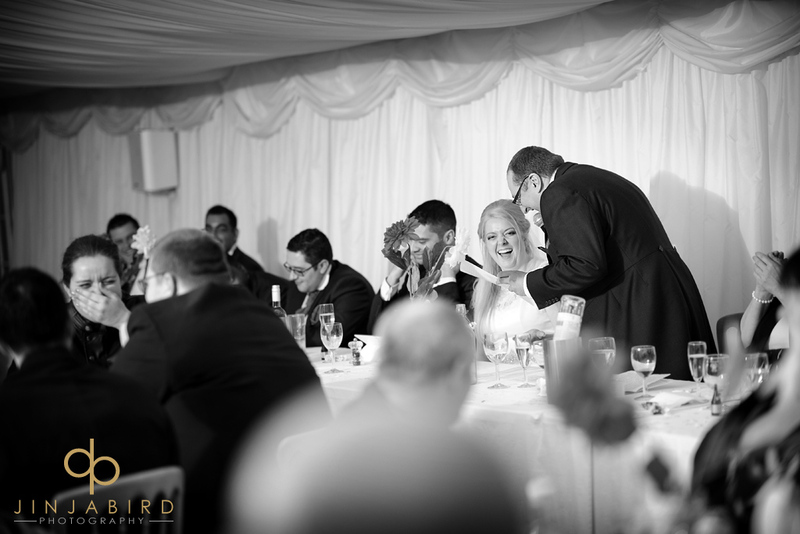 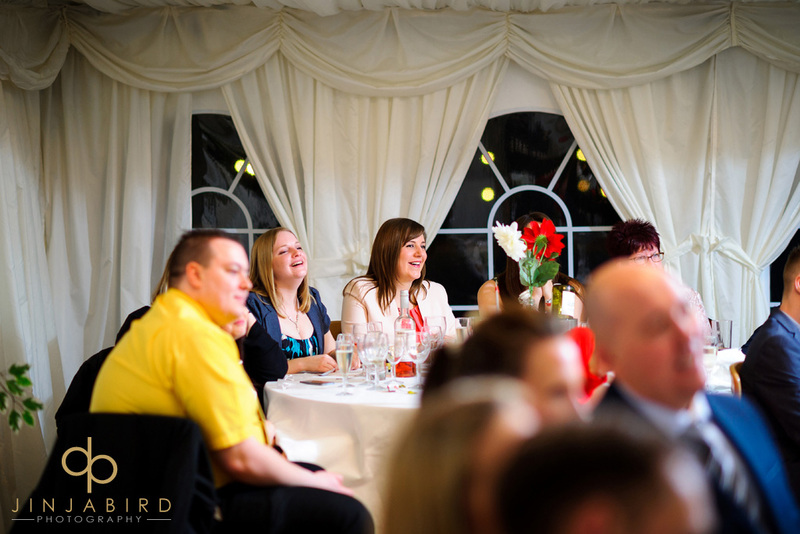 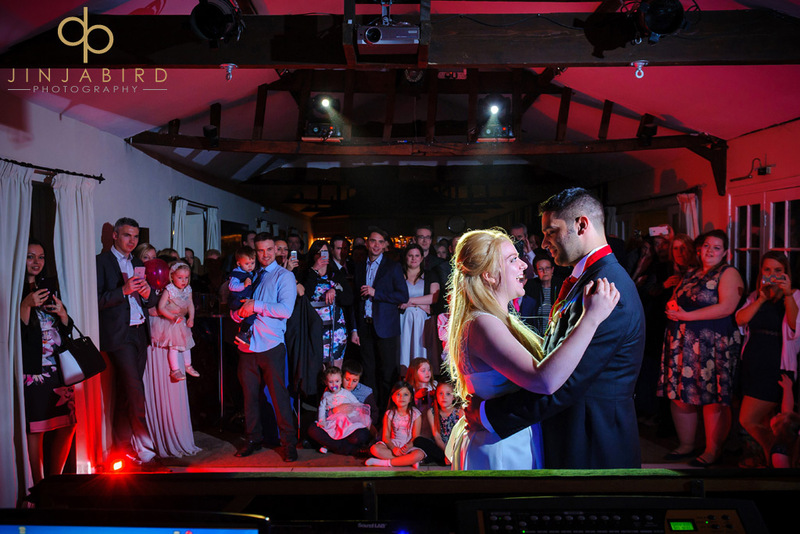 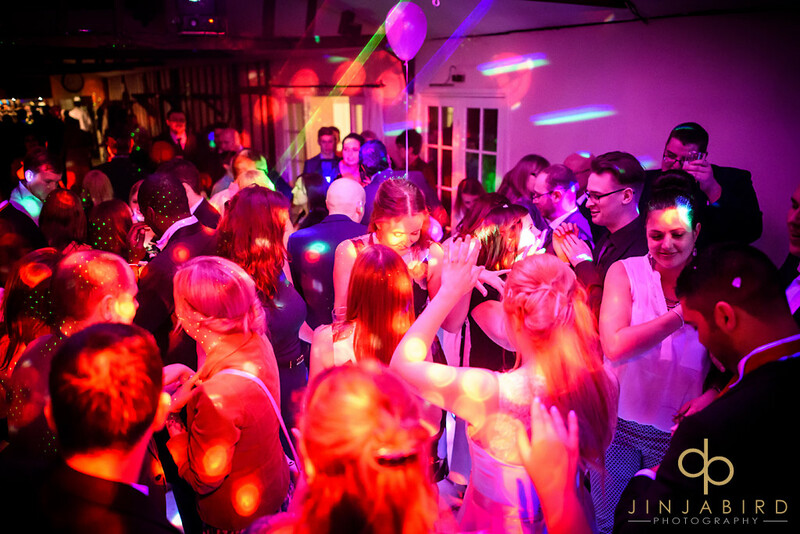 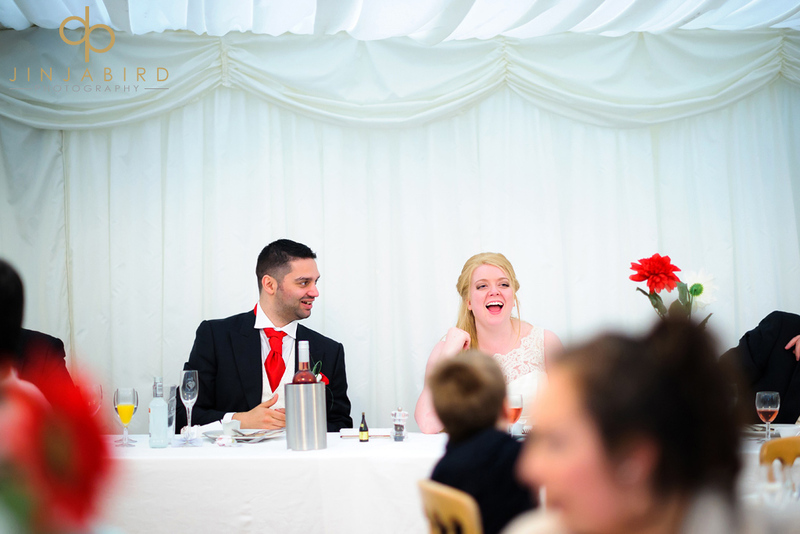 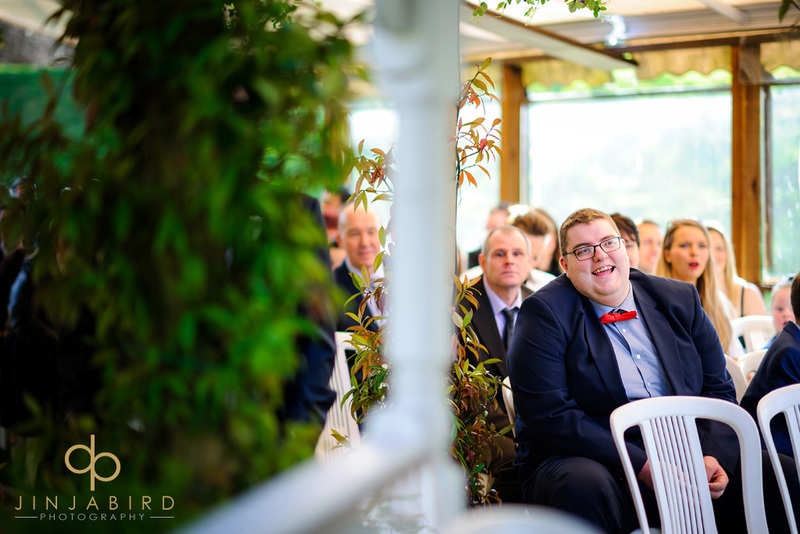 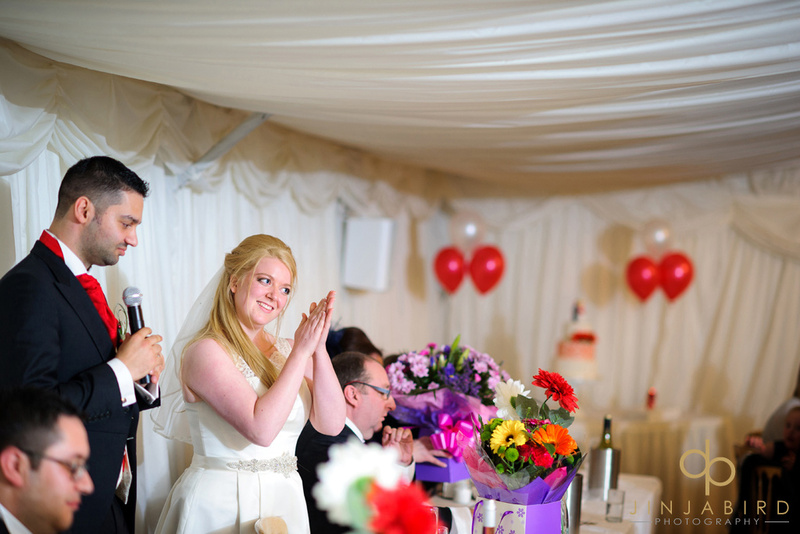 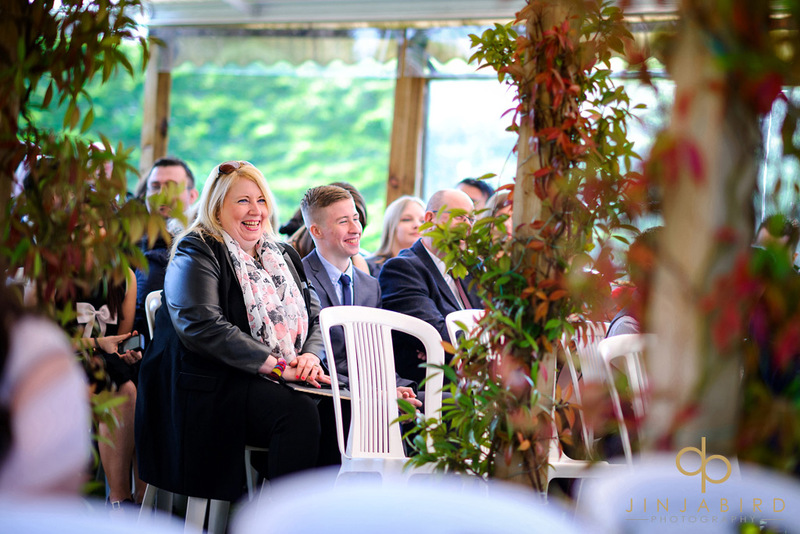 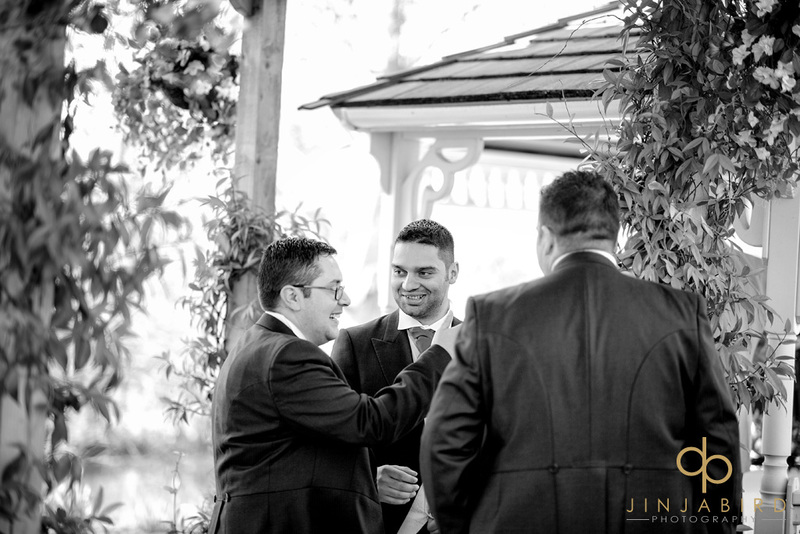 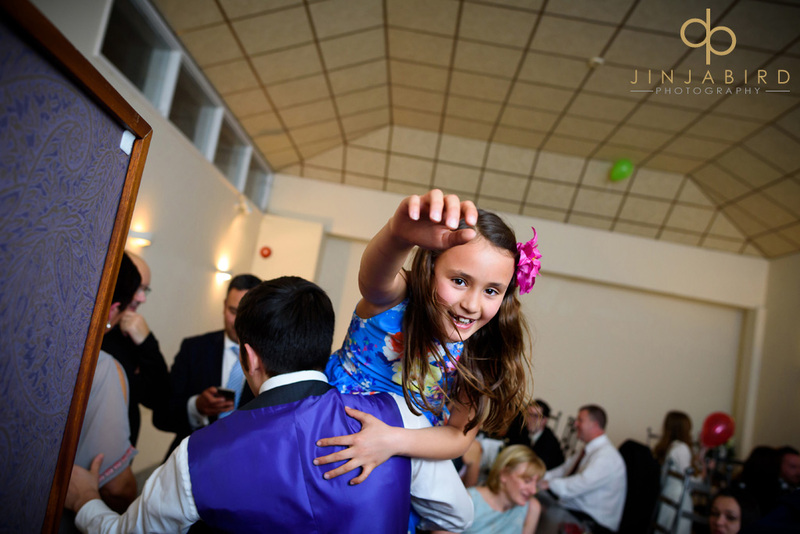 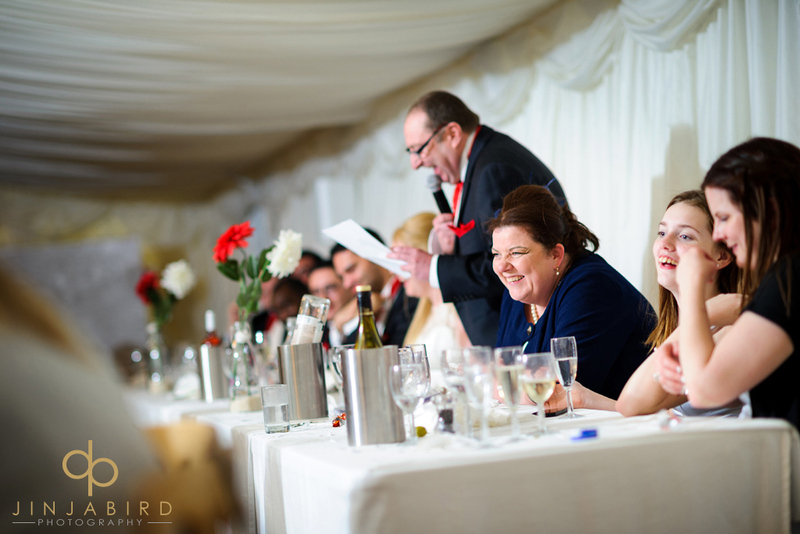 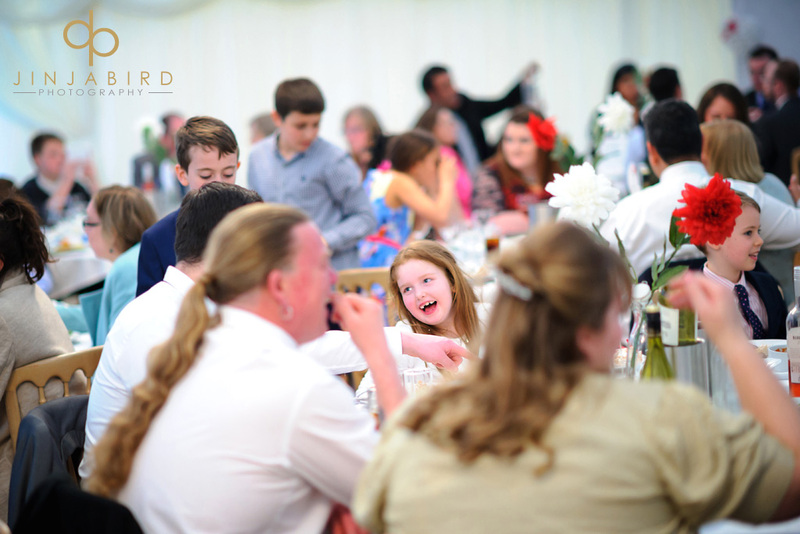 Wedding Photography Minstrel Court – by Jinjabird. 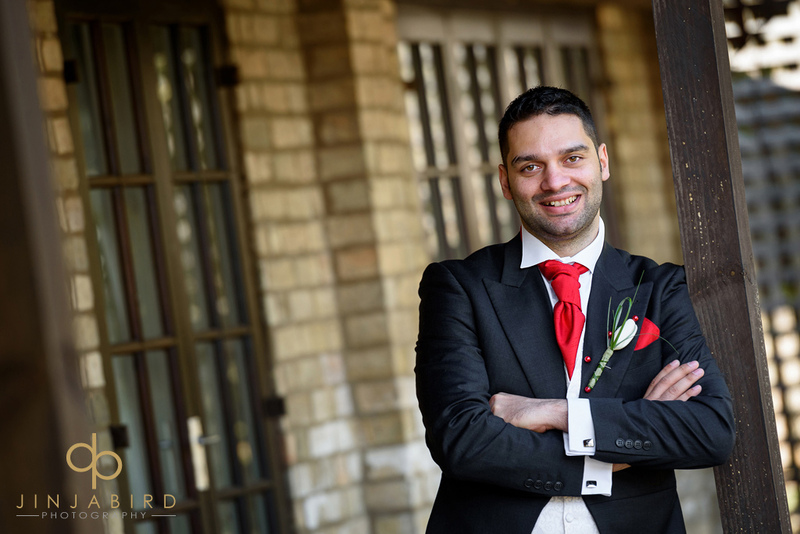 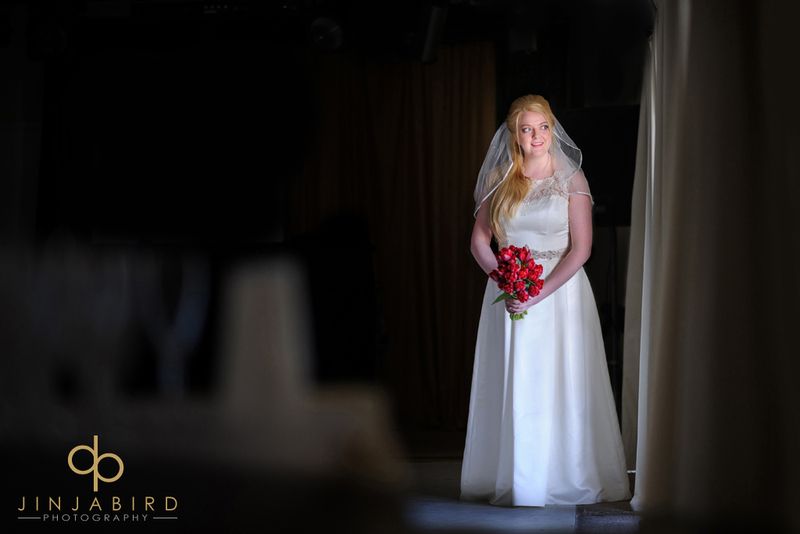 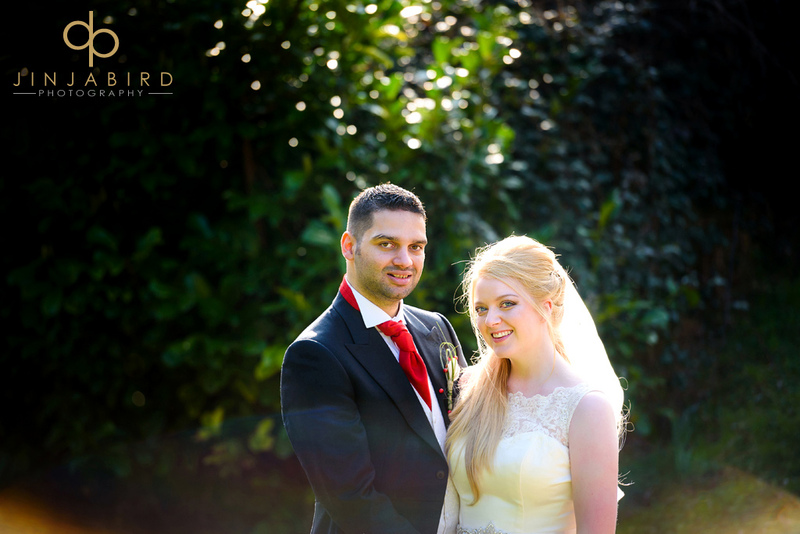 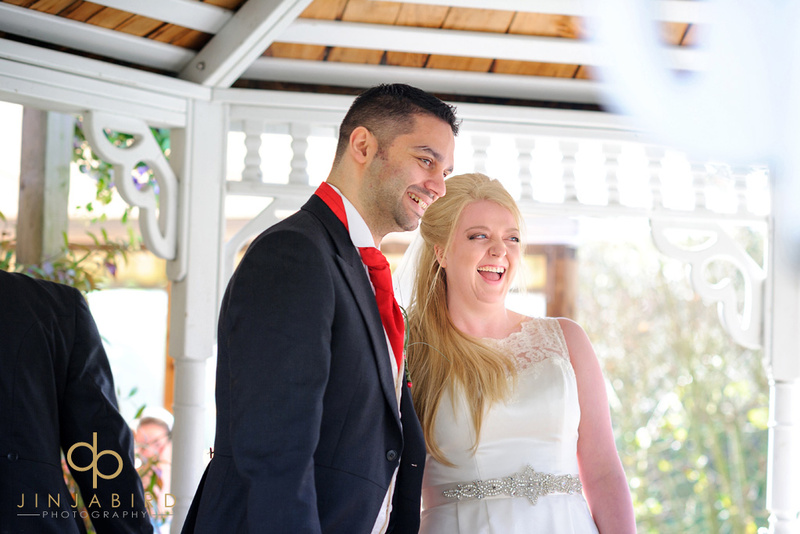 I had a fantastic day on Friday photographing the wedding of Vicki and Simon. 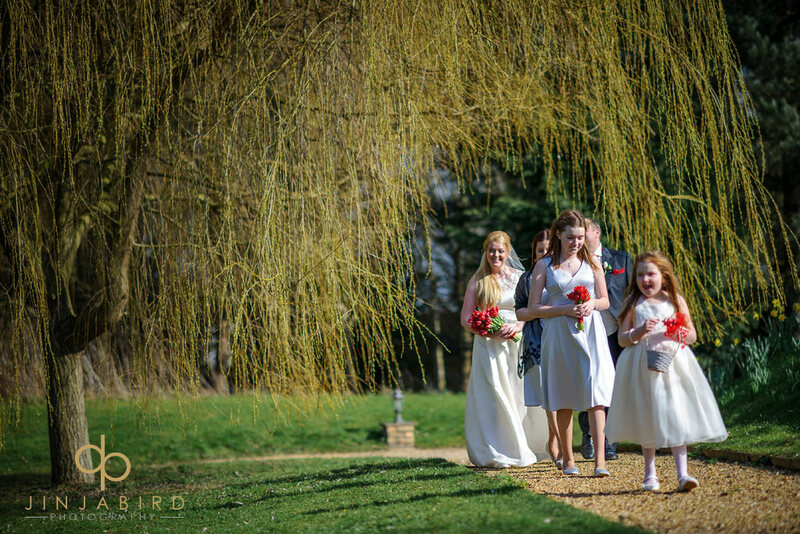 They had chosen the lovely Minstrel Court to host their day. 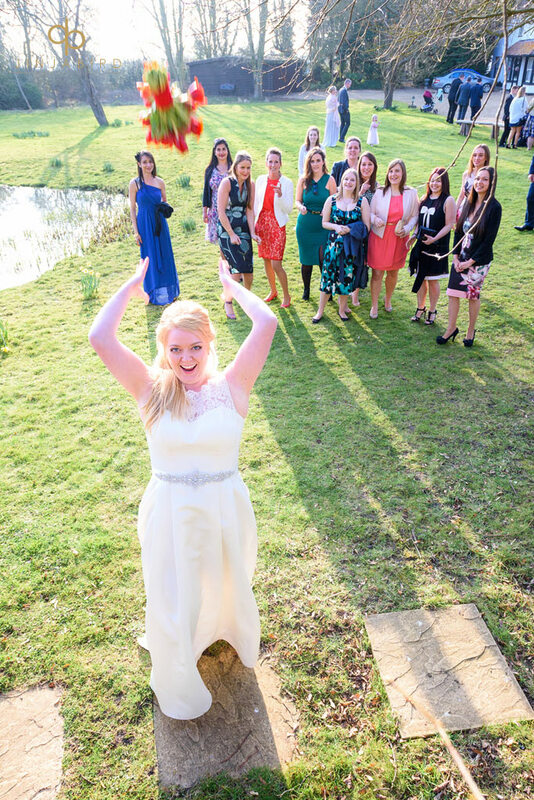 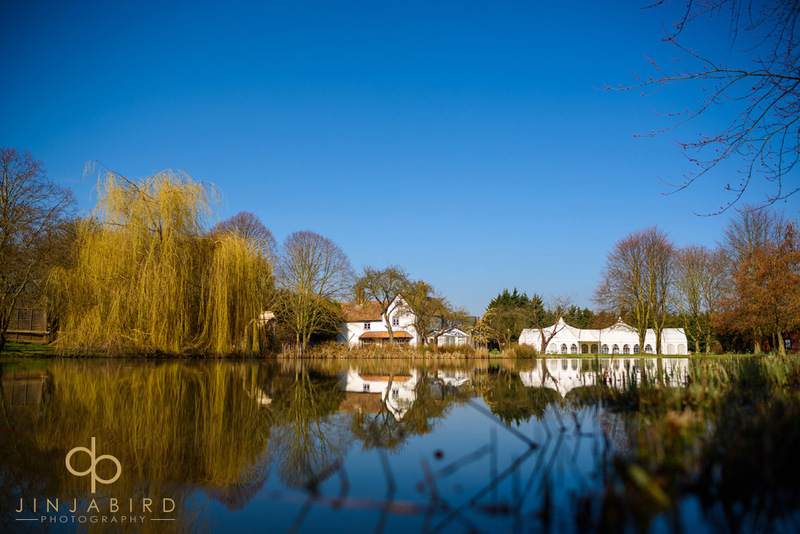 The wedding venue features a beautiful lake set in 5 acres of pretty gardens. 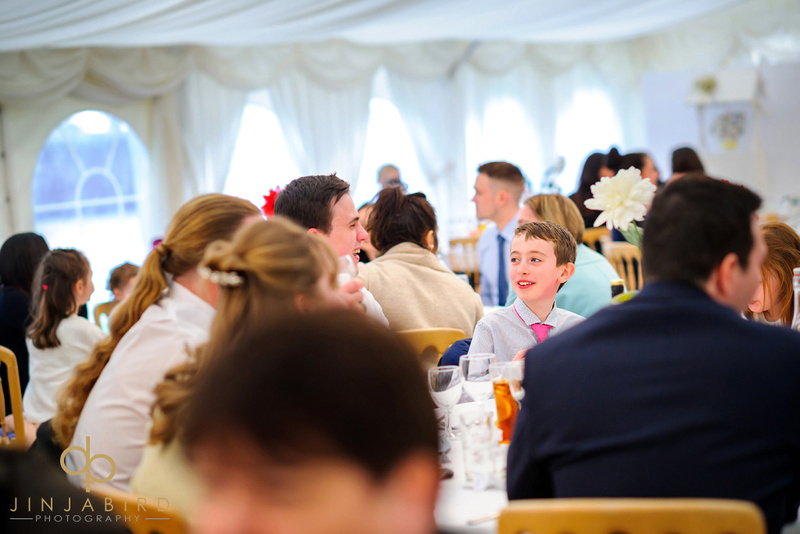 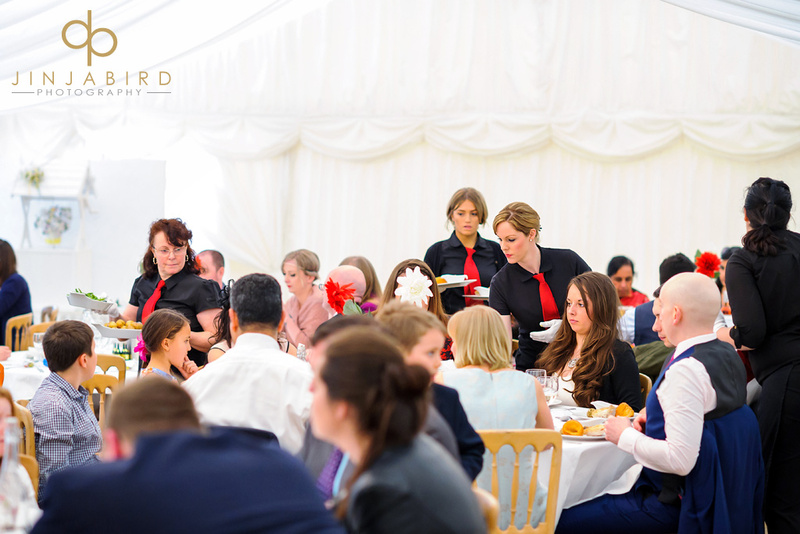 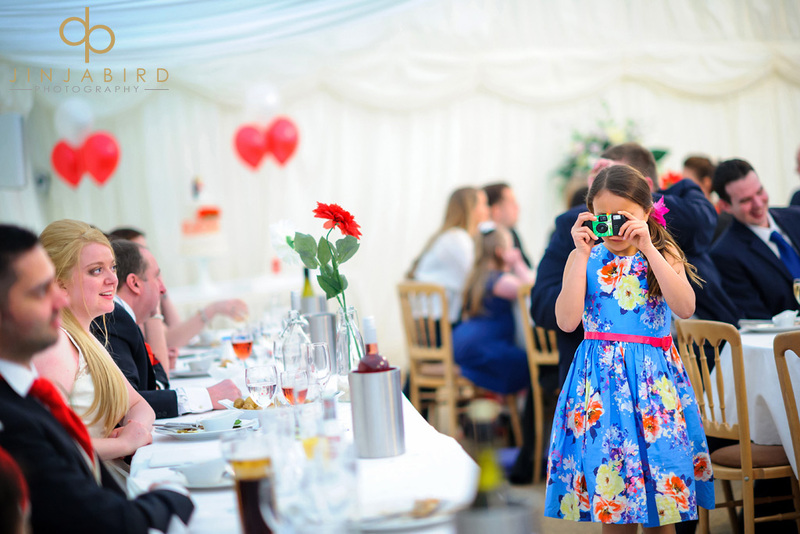 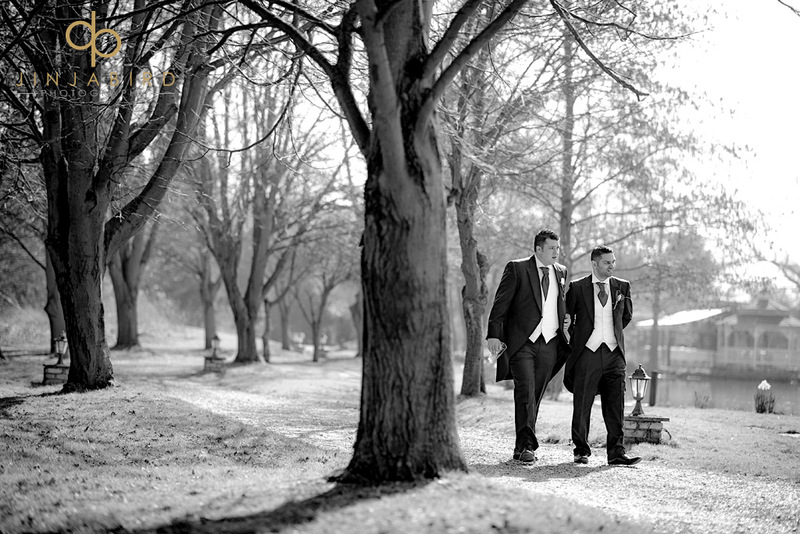 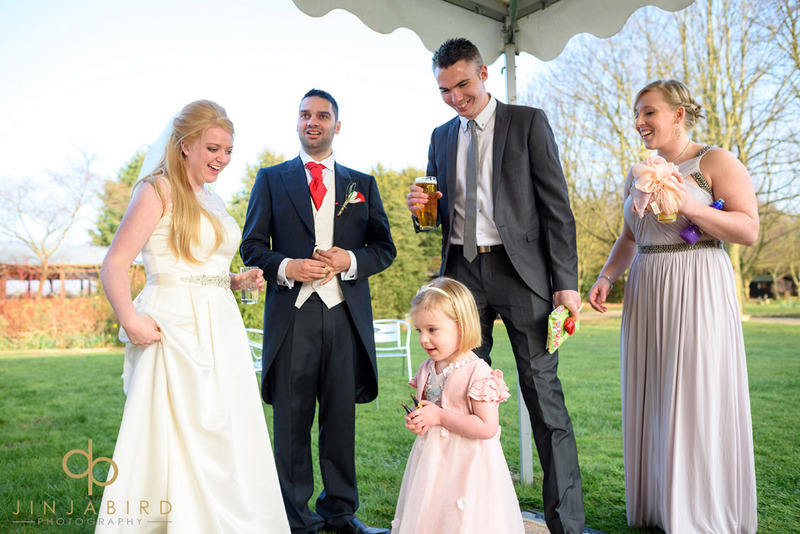 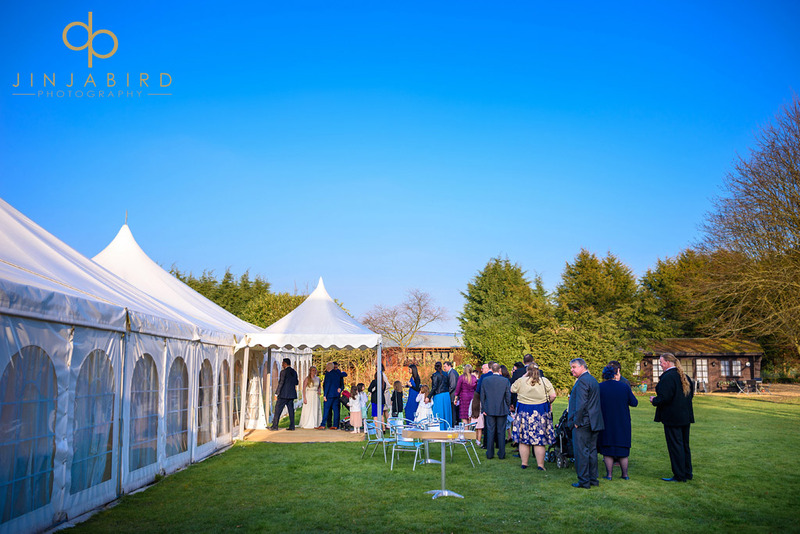 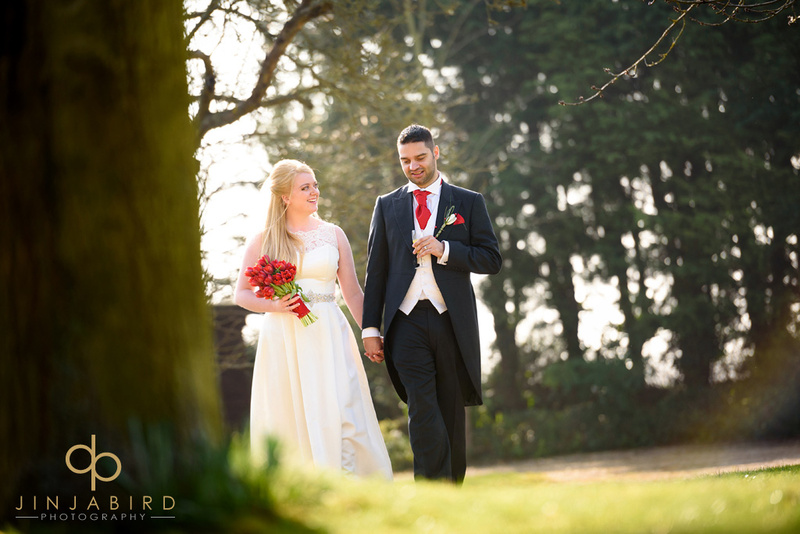 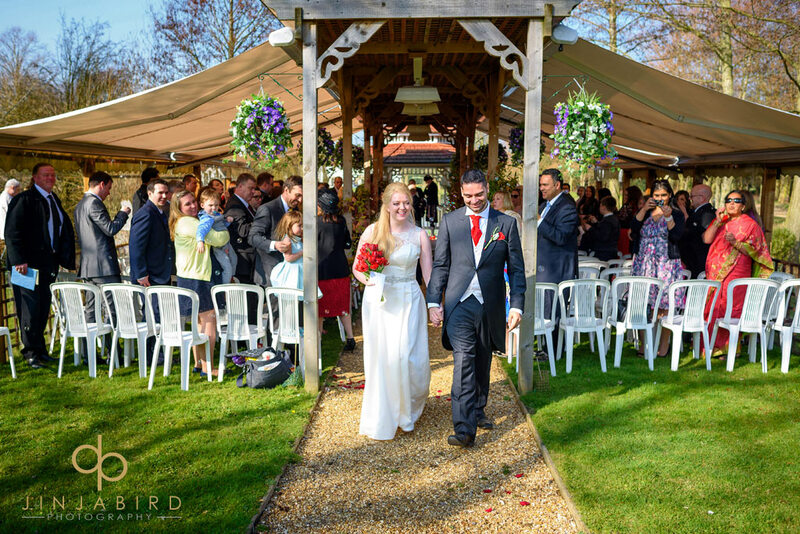 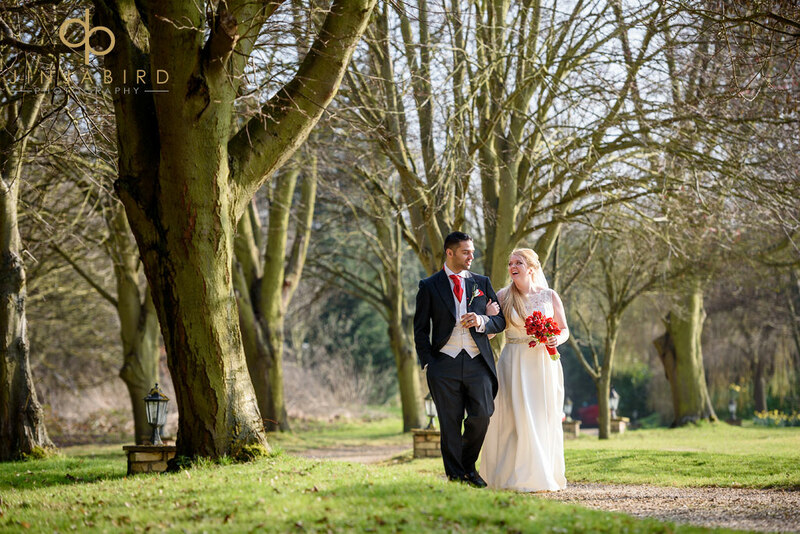 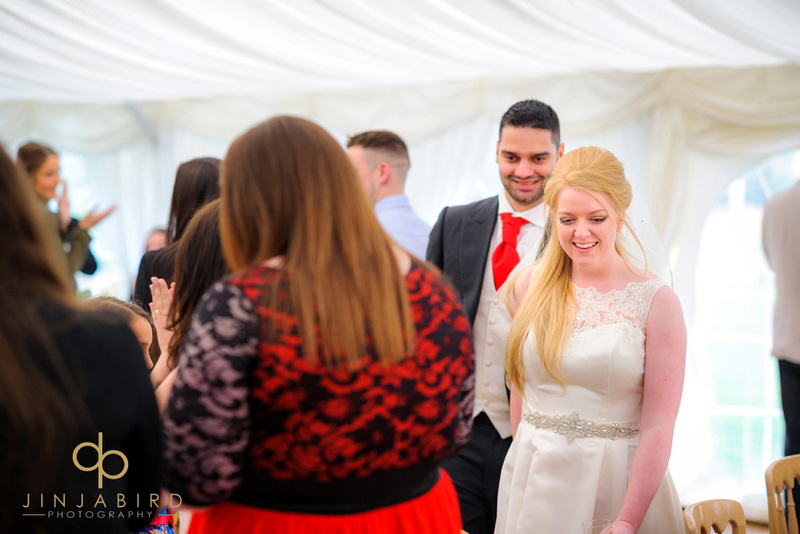 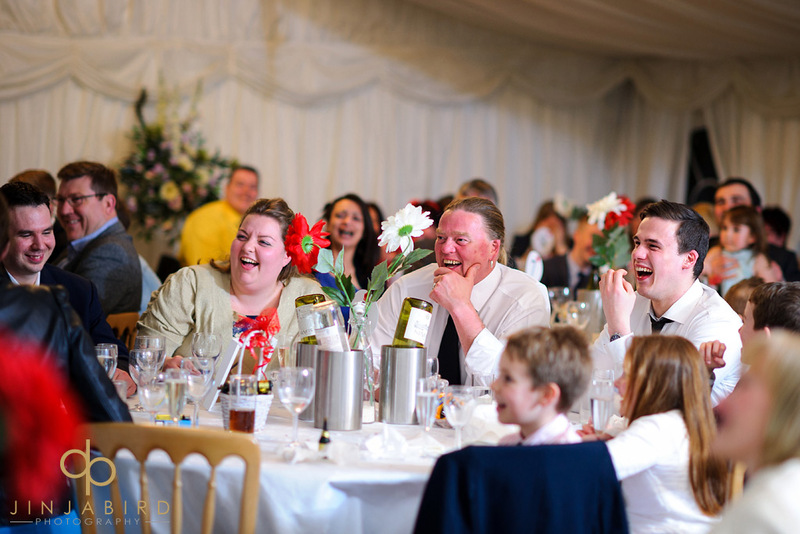 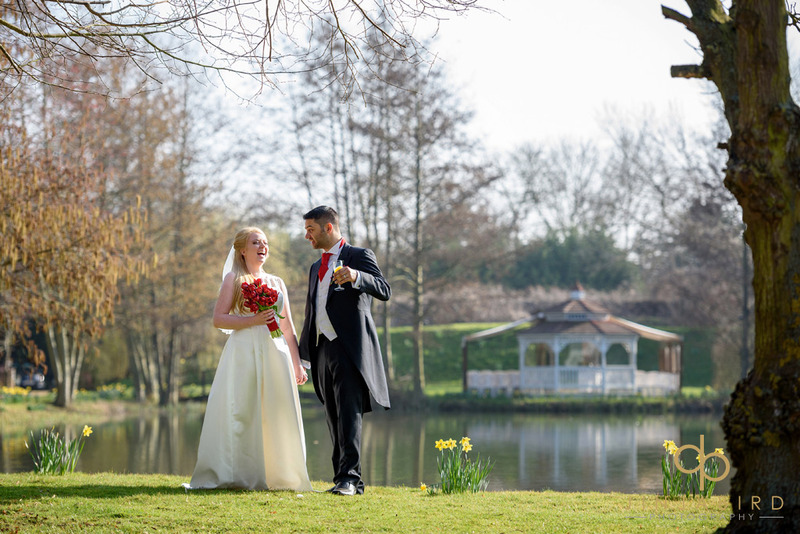 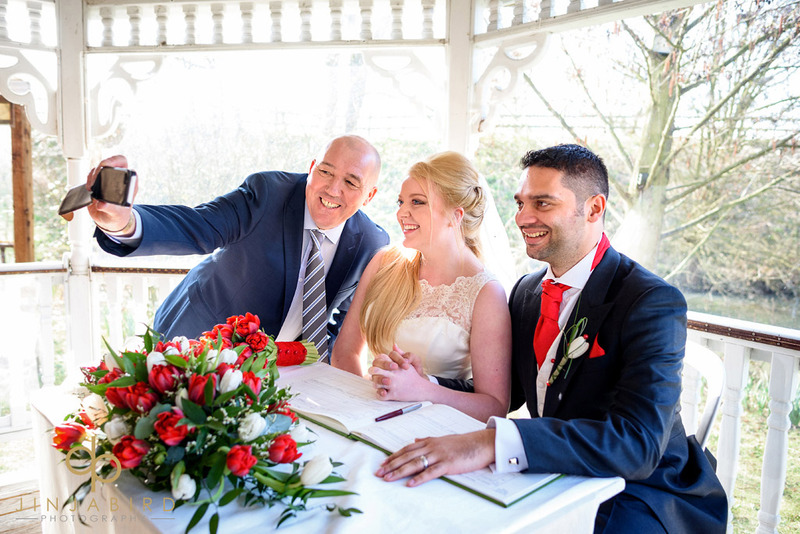 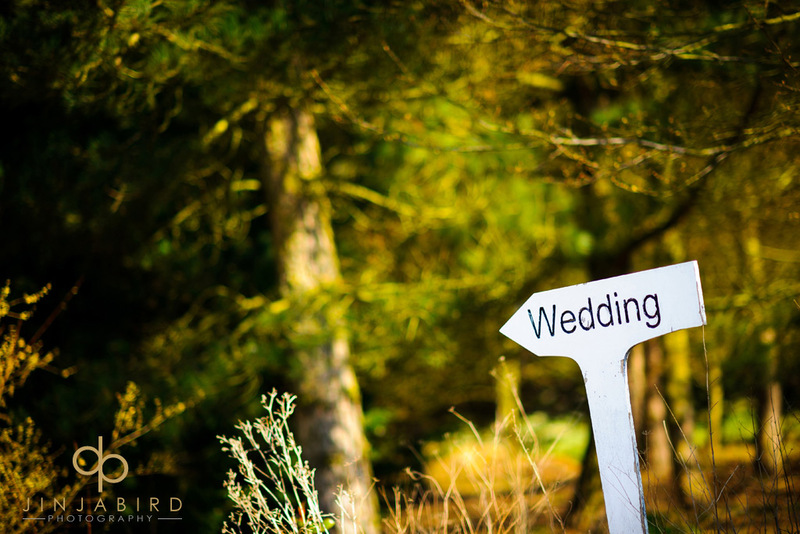 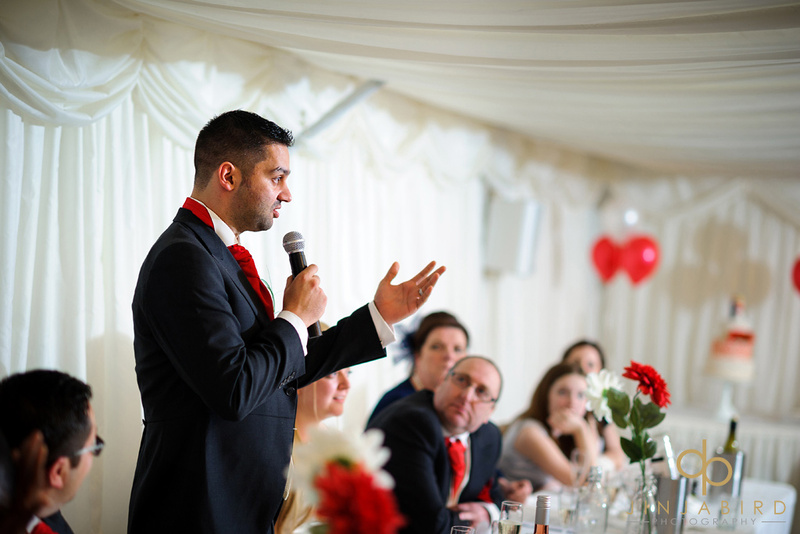 The countryside location and great weather made Minstrel Court the ideal location for their spring time wedding. 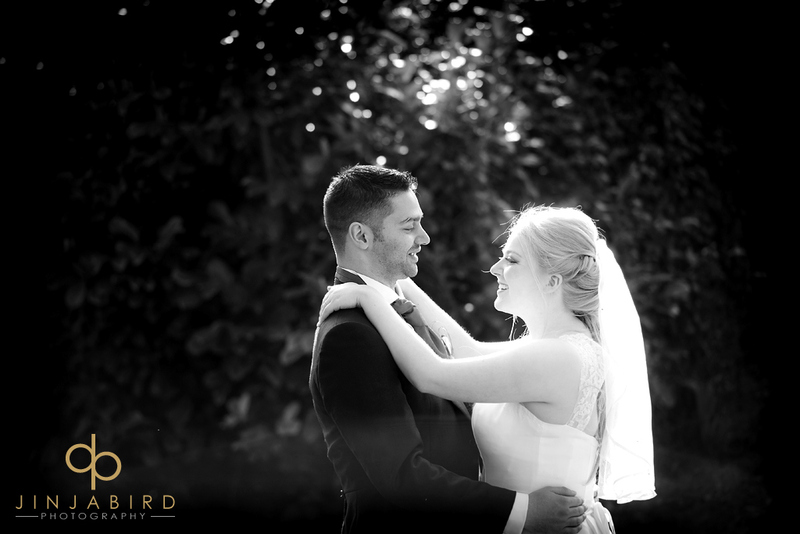 The day had started with a solar eclipse which must be a good omen for anyone getting married. 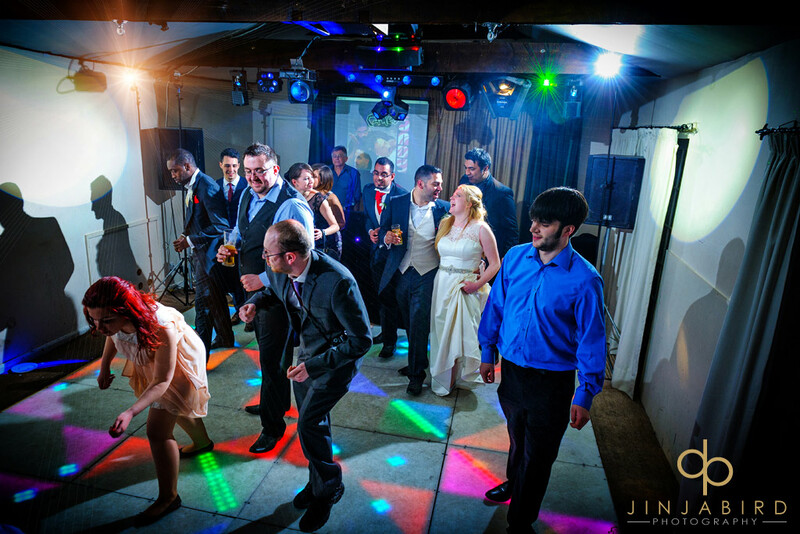 And then it just got better and better. 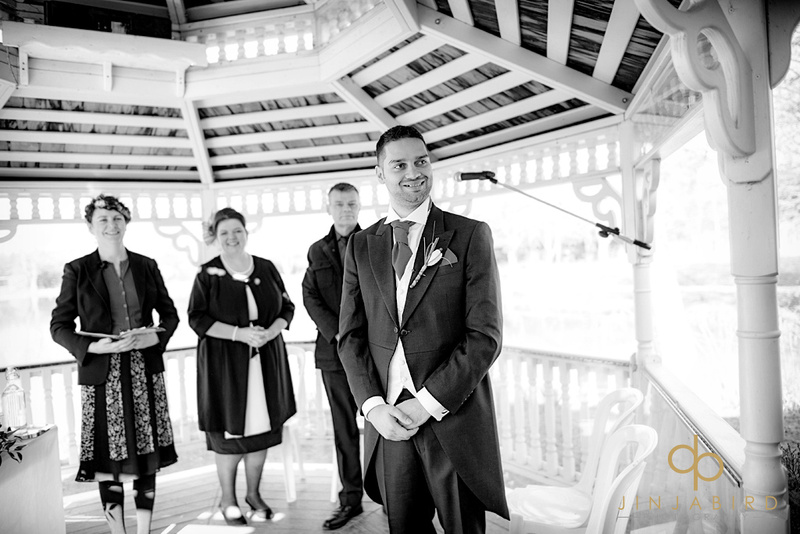 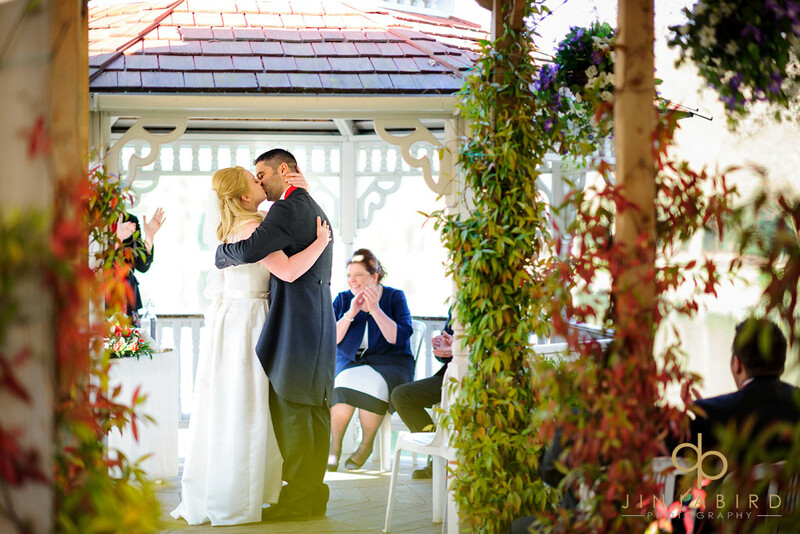 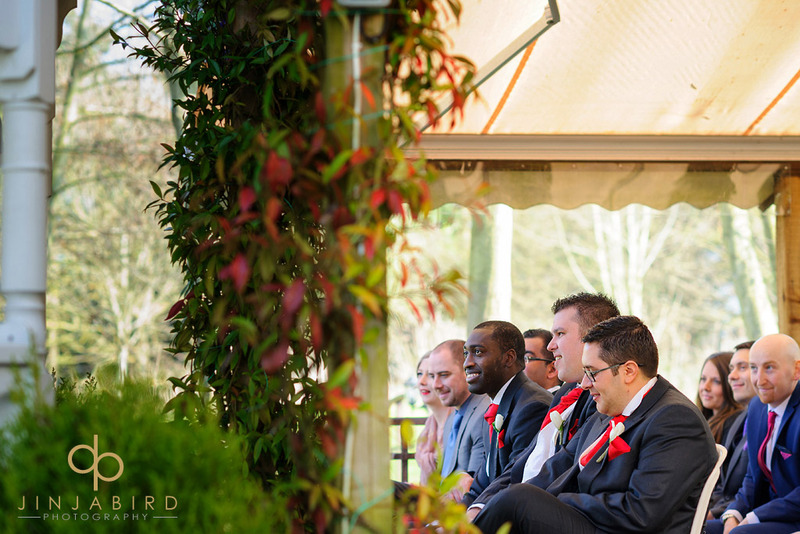 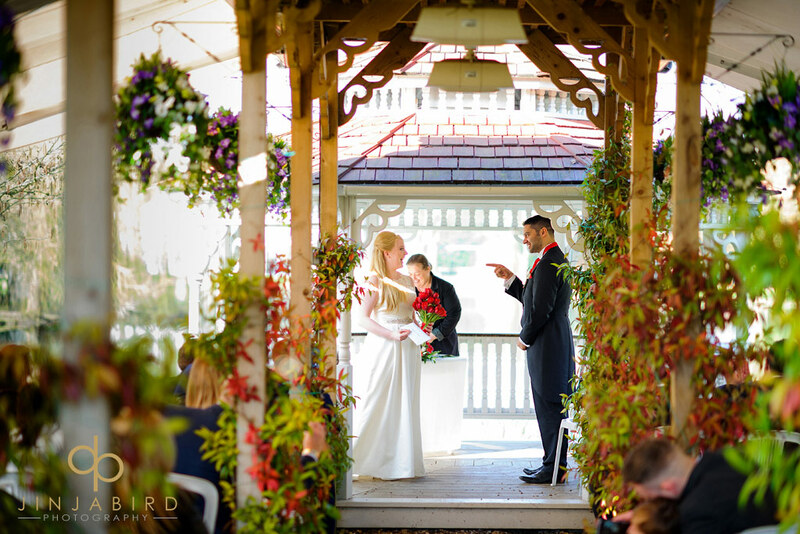 The ceremony was held outside in the pavilion that is situated on an island overlooking the lake. 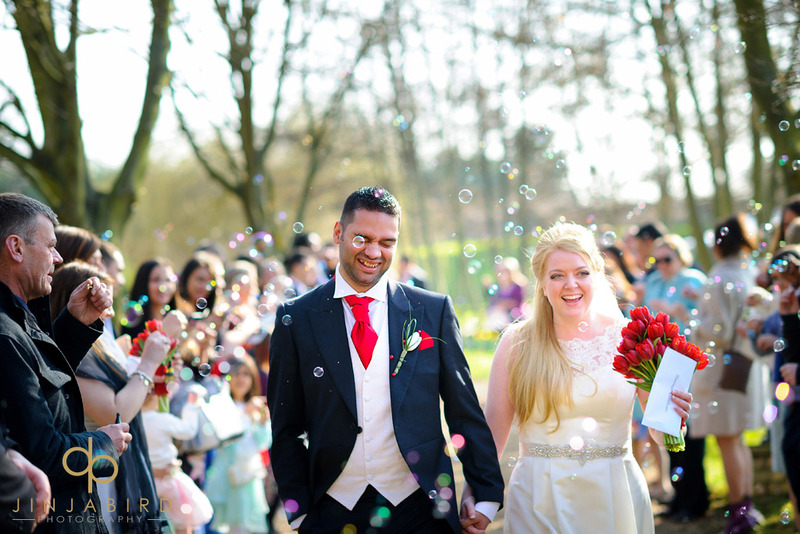 After the ceremony instead of confetti Vicki and Simon had everyone shower them with bubbles. 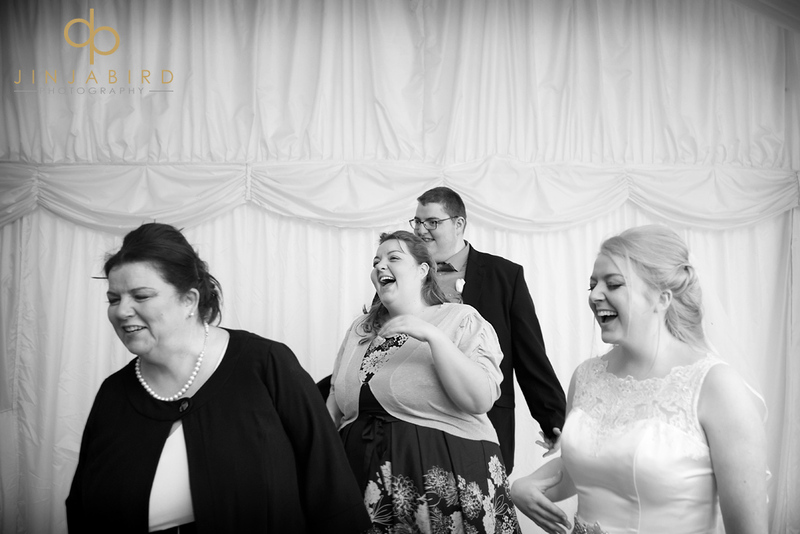 I can’t remember ever seeing such a happy bride. 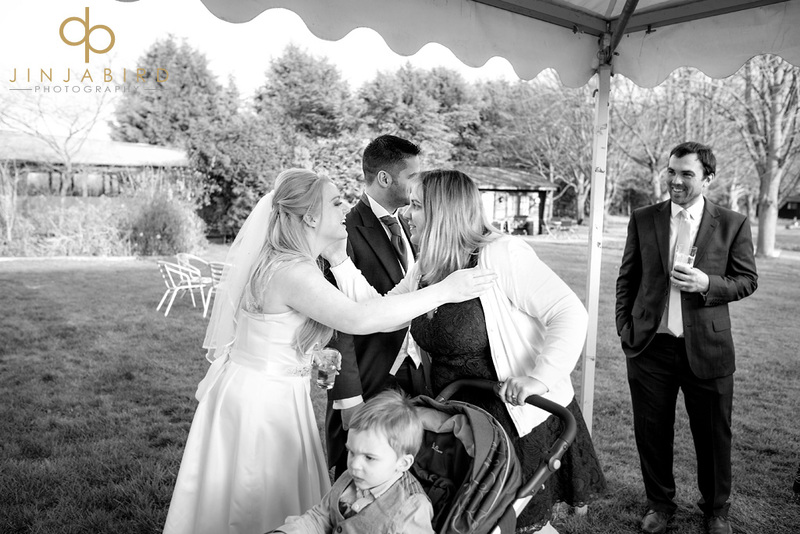 I don’t think Vicki stopped smiling all day. 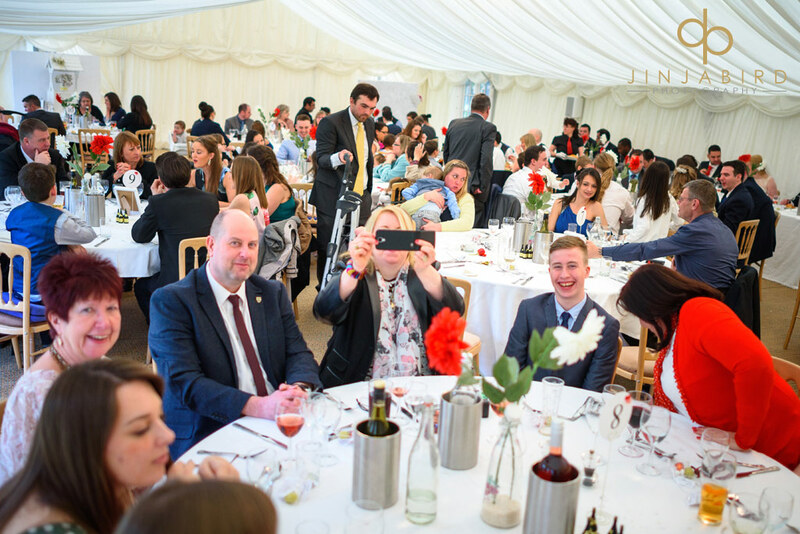 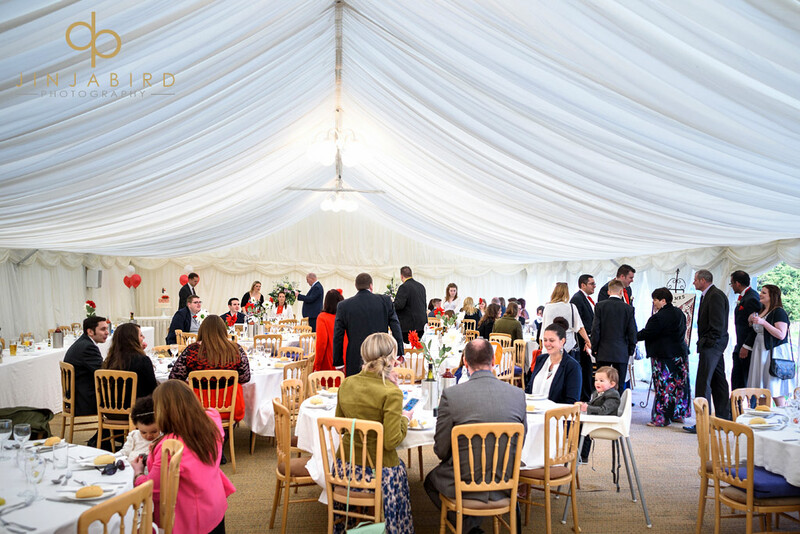 The wedding breakfast was held in a large marquee with some very entertaining after dinner speeches courtesy of the four best men. 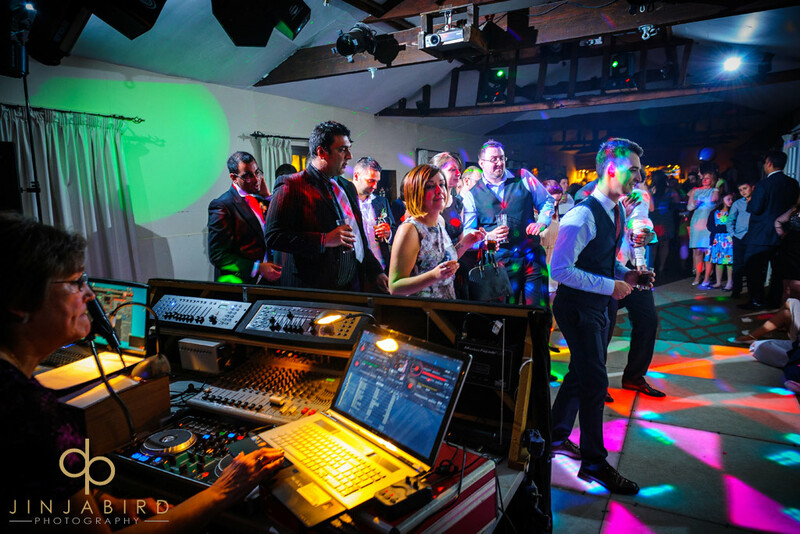 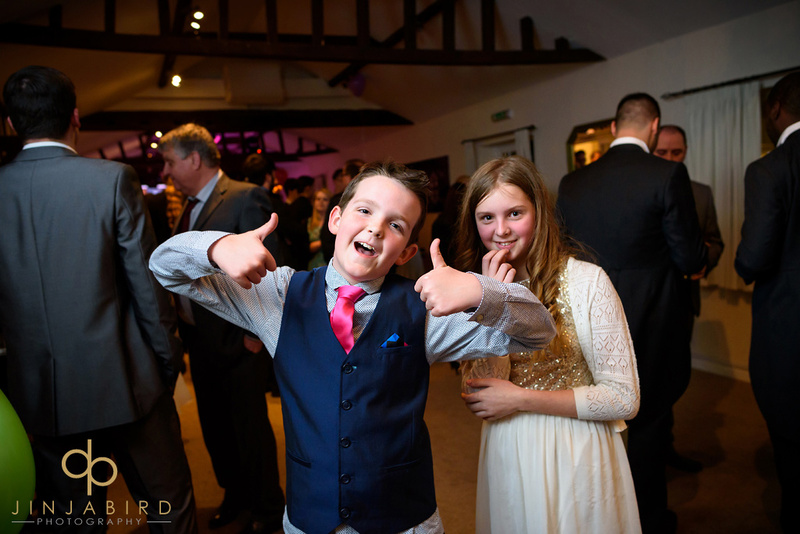 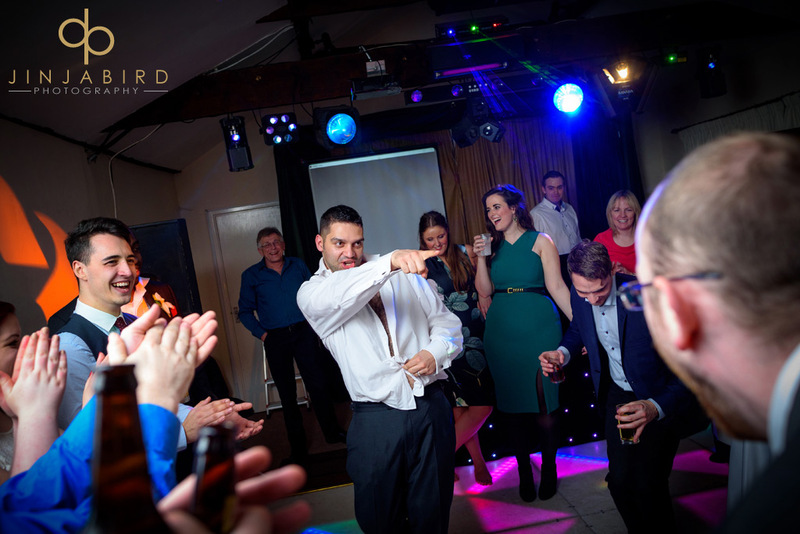 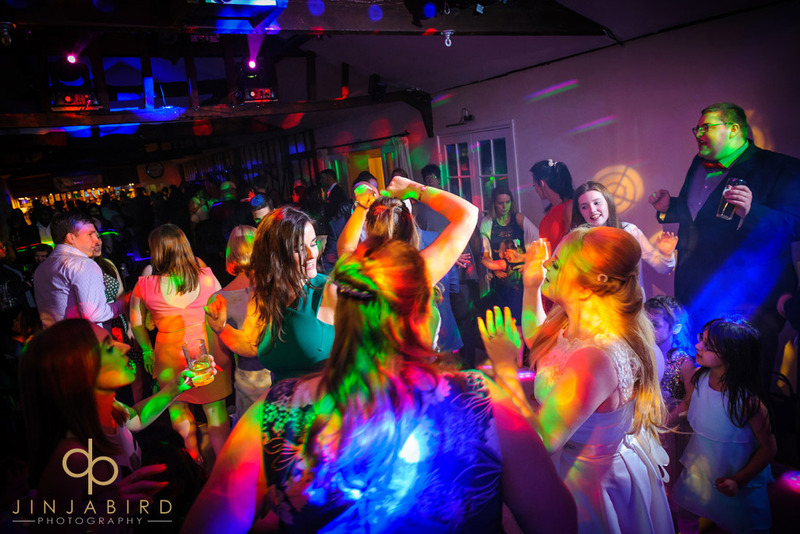 Then it was off to the main house for the start of the evening reception and disco that really rocked. 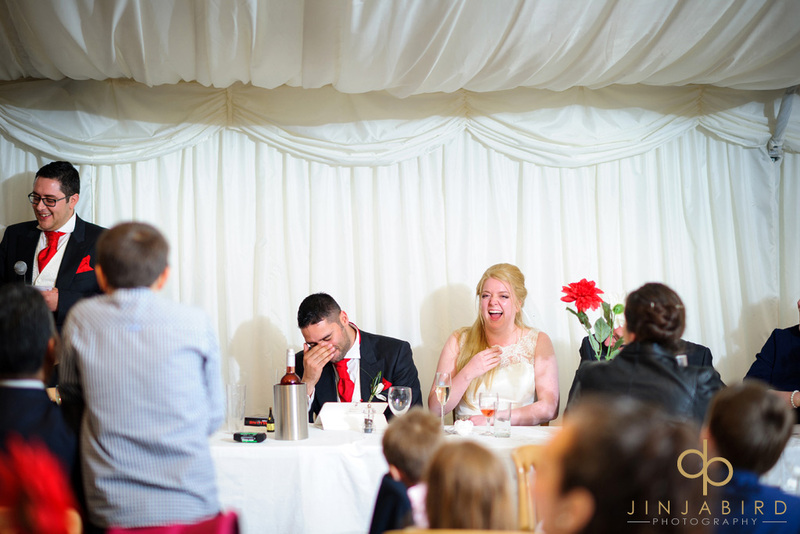 This was due in no small part by the antics of the bride and groom and all of there friends. 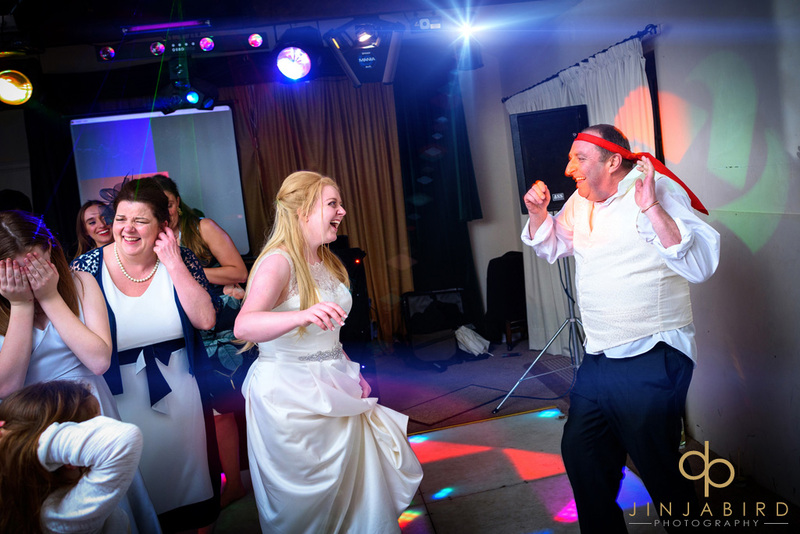 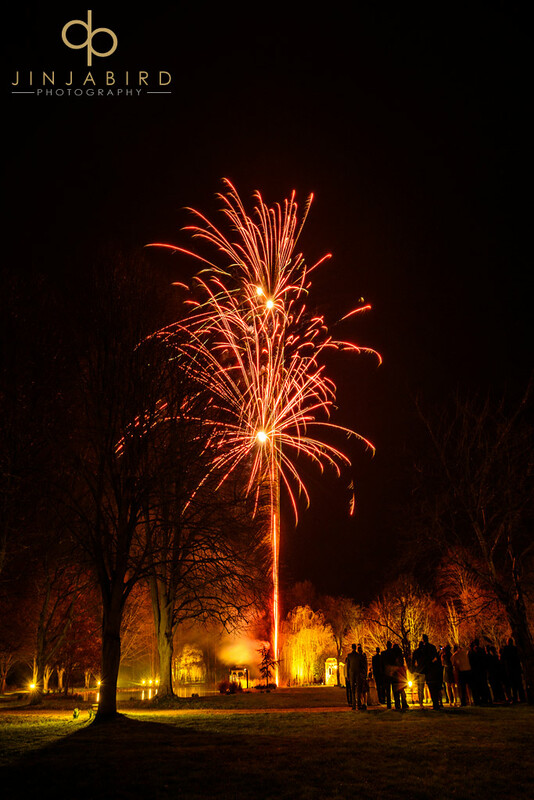 The night finished with a firework display and a strip tease by the Simon much to the amusement of his new bride Vicki. 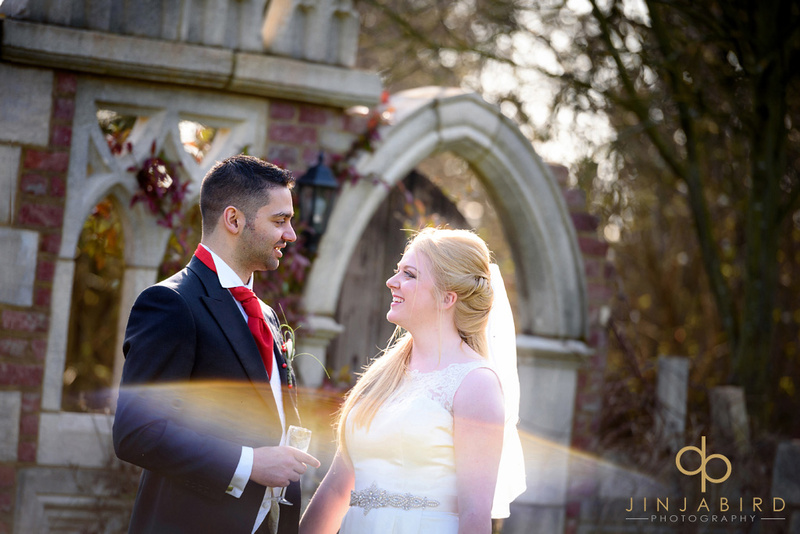 Wedding Photography Minstrel Court – by Jinjabird.